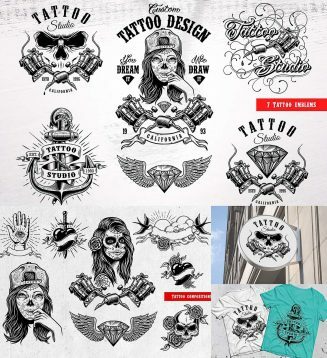 Set of 13 unique vector objects and elements, 8 awesome tattoo designs, 5 ready prints. 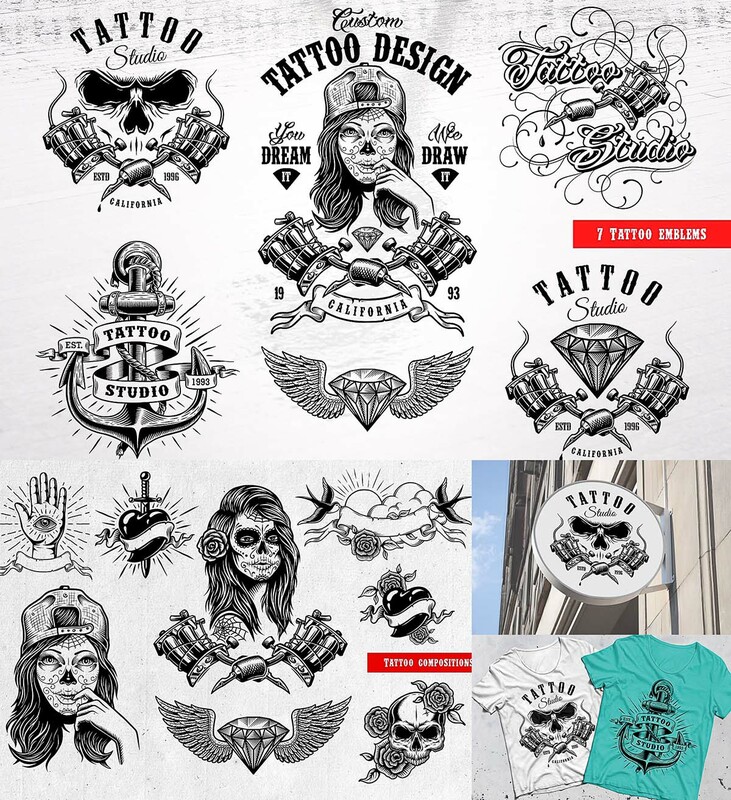 Perfect for tattoo shop logo design, t-shirt prints, posters etc. Tags: art, diamond, eye, heart, ink, knife, machine, ribbon, salon, skull, symbol, T-shirt print, tattoo, tattoo design.